Grey is the new black! 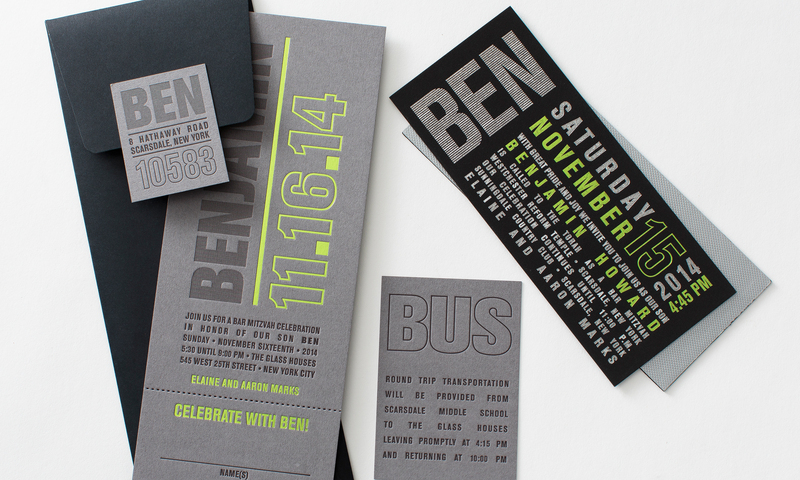 We design lots of grey mitzvah invitations these days, usually mixed with a pop of color to stay happy and youthful. 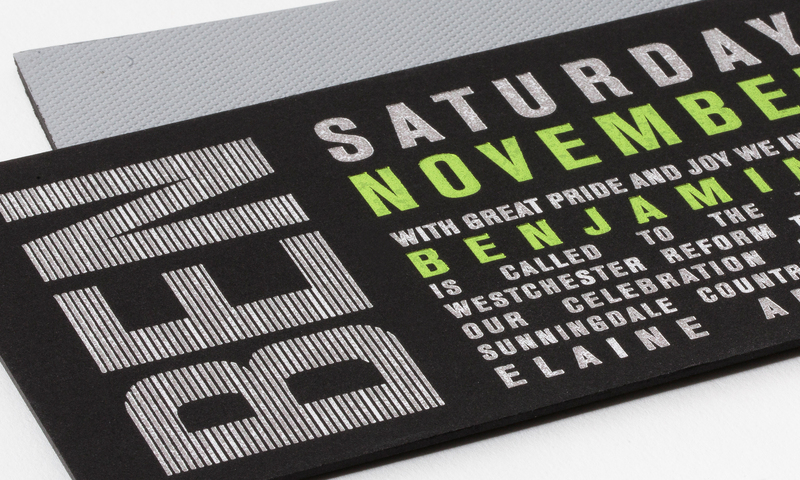 This set has it all: letterpress, foil stamping, a gorgeous textured backing and a perforated tear-off reply card for guests to send back. It all mailed together in a coordinating, heavyweight envelope with grey address seal.